Home | RMDL Matt G. Moffit | NEW BY-LAWS | SQUAD MINUTES | ACE OF ACES PHOTOS | Air Group 15 | REBEL 99's Last Days | Midway's VT-8 Sole Survivor? | PHOTOS - AIR WAR IN THE PACIFIC | USN - USMC ACES | Squadron's Name and Mission | TAX EXEMPT STATUS | SQUADRON OFFICERS | SQUADRON MATES | Board Member: Dianne Gosselin | Honored Member CAPT Jake Lundin | Featured Member CAPT "Crip" Crippen | Featured Member CMC Mike Welby | Board Member: LCDR Lou Romano | Board Member: CAPT Reynolds Beckwith | Board Member: CAPT Joel Jacobs | Board Member: CAPT Ron Kennedy | New Member, CAPT Irene Wirtschafter | Featured Member: RADM L.W. Moffit | RADM Swoose Snead | YTD NEW MEMBERS | COMING EVENTS | Contact Us! From the book, "American Aces"
Walter A. Lundin, residing in Yonkers, New York, originally enlisted in the Royal Canadian Air Force on July 7, 1941. Upon completion of training, he transferred and was assigned to the Coastal Command Group of the Royal Air Force. He underwent further training in Northern Ireland. On November 9 1942, while in London, England, he transferred again to the U. S. Navy, and subsequently returned to the United States. In November 1943, he was assigned to Fighter Squadron Fifteen flying F6F Hellcats and proceeded to the forward area aboard the U.S.S. Essex. 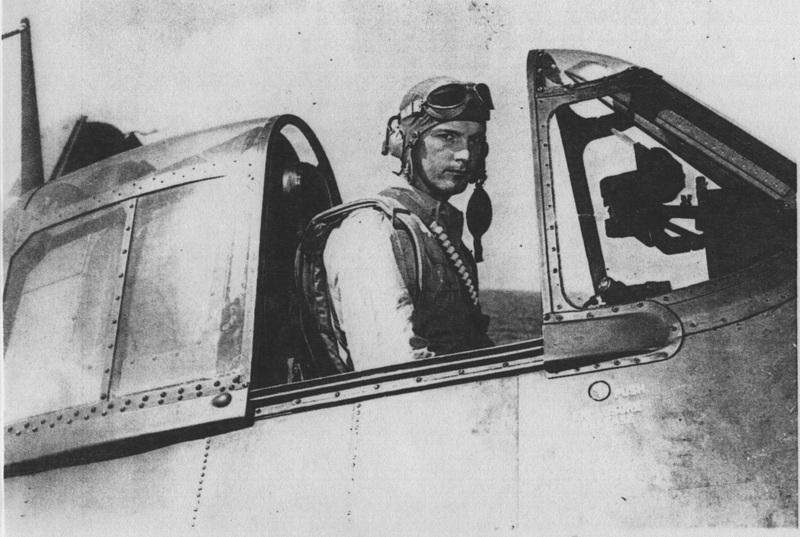 The squadron participated in the Marianas campaign, flew initial strikes against Palau, the Philippines and Formosa, and was engaged in the first and second battles of the Philippine Sea. In December, 1944, the Air Group returned to the United States. As a pilot of a fighter plane in Fighting Squadron Fifteen, attached to the U.S.S. Essex during the First Battle of the Philippine Sea in June 1944, when our fleet was subjected to numerous enemy air attacks, he destroyed one enemy fighter and one enemy dive bomber plane and assisted materially in the total destruction by his squadron of sixty-seven enemy aircraft. In action in the central Philippines in September 1944, while attacked by a vastly superior force of intercepting enemy fighters, he engaged the aircraft in combat and destroyed one and assisted another pilot in destroying an enemy medium bomber, tbereby contributing to his flights total of twenty-nine planes destroyed during this action. Pressing home relentless strafing attacks against grounded aircraft, he succeeded in setting fire to and destroying one grounded plane. During this period he was a LT, and served as a section leader. On October 24, 1944, during operations in the Battle of Leyte Gulf, while intercepting a force of enemy aircraft during a combat patrol mission, he engaged the enemy shooting down two planes and assisted in dispersing the remainder. In February, 1945, he was assigned to VBF151 flying F4U-4 Corsairs. The conflict was over before this unit reached the forward area. After a long and distinguished Naval Career, CAPT Lundin retired in 1962. He presently lives in Port St. Lucie, FL, and became an honorary member of the NEW McCampbell Aces in June, 2002. During the USS McCampbell's port visit to W. Palm Beach, Jake has reluctantly agreed to act as spokesperson for Air Group - 15.